Fully mobile thanks to 4 swiveling wheels and 2 guide handles, Apollo integrates 8 KSync MA16 allowing the recharging of 120 tablets ! Its fully metallic design and 3-point anchor lock ensures perfect protection of the equipment. 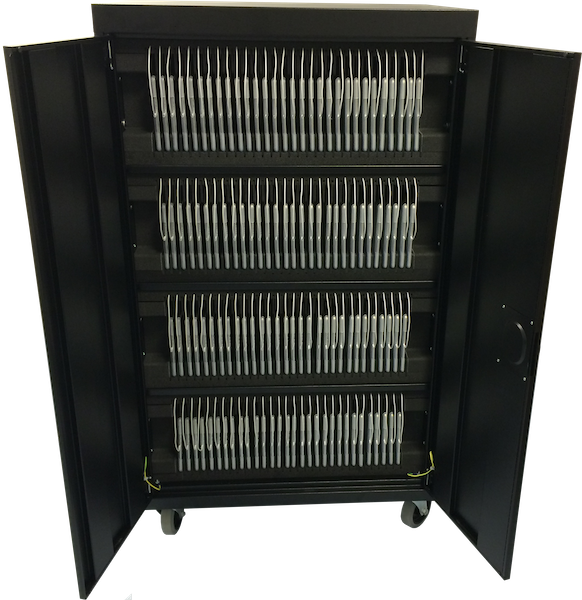 An adequate solution for managing and deploying a large fleet of tablets !